On 29 April 2015 Acne Studios launched Peter Schlesinger Sculpture, a monograph about the work of renowned artist Peter Schlesinger, accompanied by a capsule collection of silk pyjamas that has evolved directly from the work. Through his numerous collaborations with Acne Paper, a friendship has grown between Schlesinger and Acne Studios Creative Director Jonny Johansson and together they developed the idea of doing a book, with photographs by Eric Boman, Schlesinger’s partner of 40 years. The limited edition book contains a pictorial history of more than 150 of Schlesinger’s work, dating from the late 1980s to present day. It is lavishly produced in Sweden on Japanese paper and bound in rustic cloth. 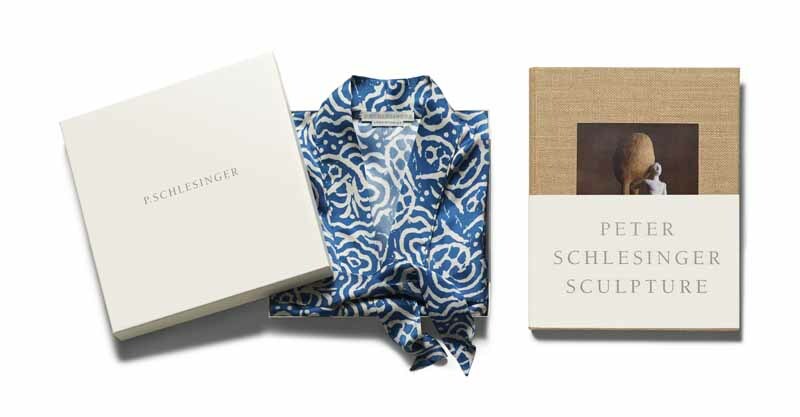 Alongside the book, an exclusive collection of pyjamas, a favorite garment of Schlesinger’s, has been designed by Jonny Johansson based on prints drawn by the artist. The collection is produced in the finest silk printed in colours inspired by his ceramic glazes. Peter Schlesinger was born in Los Angeles in 1948. He studied at UCSC, UCLA and the Slade School of Art in London, starting his artistic career in painting before transitioning into ceramic sculpture. Schlesinger has created organic shaped sculptures for over 28 years, where his background in painting influenced his use of abstract shapes and patterns. He was awarded a Tiffany Foundation award in 1993 and in 2003 he published his seminal book “Checkered Past” – an inimitable and intimate documentation of the international cultural scene he was part of in the 1970s. The book Peter Schlesinger Sculpture and capsule collection will be launched exclusively in five Acne Studios stores and on acnestudios.com 29 April 2015. Greene Street in New York, Eastern Columbia Building in Los Angeles, Dover Street in London, Quai Voltaire in Paris and Norrmalmstorg in Stockholm.